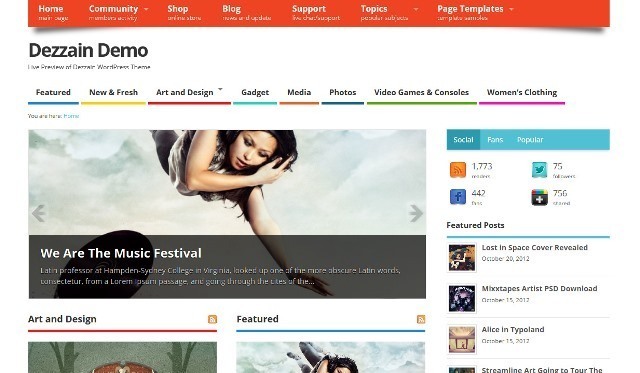 Best Free Responsive WordPress Themes 2015. Suitable for for magazine, business, personal, corporate, portfolio, photography, Music, gallery and more. 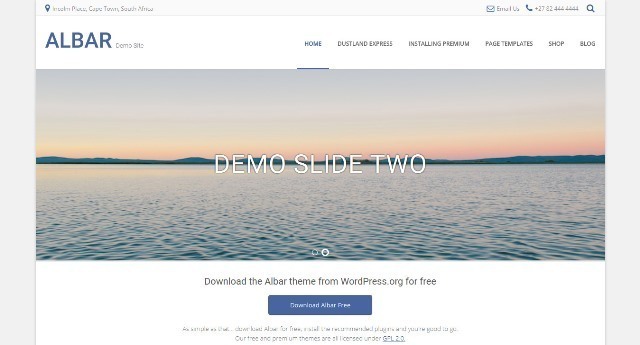 Albar is a responsive multipurpose WordPress theme. Albar has an options panel that give you settings from changing the site colors, to full width or boxed layouts, to changing the fonts on the site, plus lots more. 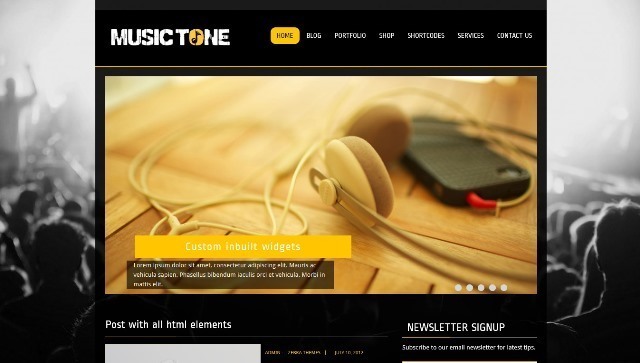 MusicTone WordPress theme is for sharing musical events and concerts. 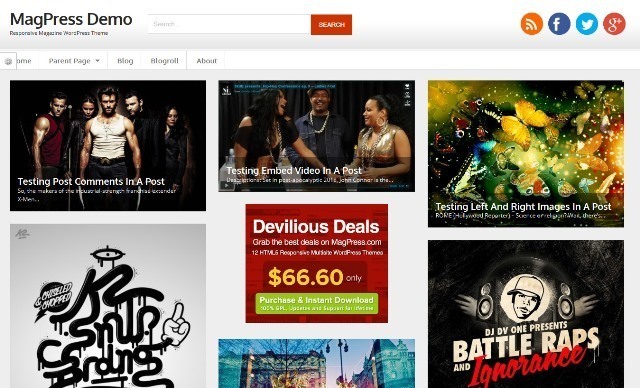 The theme comes with advanced features for ultimate transformation of your music blog. MusicTone has Responsive Design, Advance theme option panel, Developed on Bootstrap CSS framework, Compatible with latest WordPress versions, SEO Optimized, WooCommerce Ready, Tested and compatible with all major browsers and more. 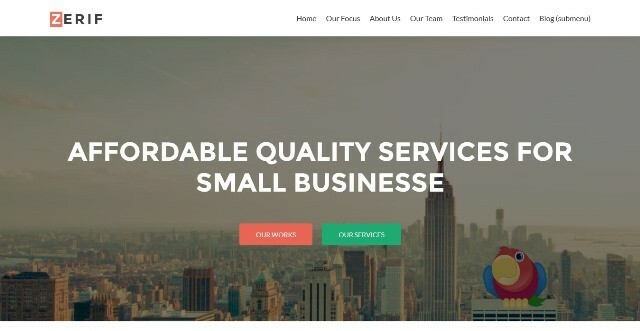 Zerif Lite is a Free One Page WordPress Theme with Responsive Design, Clean & Validated Code, Browser Compatibility, Theme Options Panel, Localization and more. 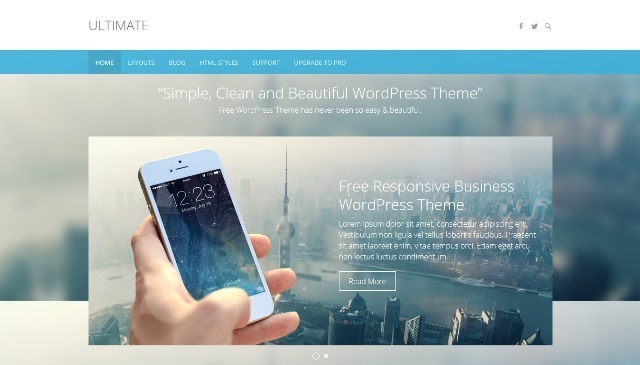 Ultimate is a Free Flat Responsive Business WordPress Theme. Features are Responsive Design, Retina Ready, Featured Slider, Theme options, Multiple Layout Options, Threaded Comments, Translation Ready, Cross Browser support and much more. 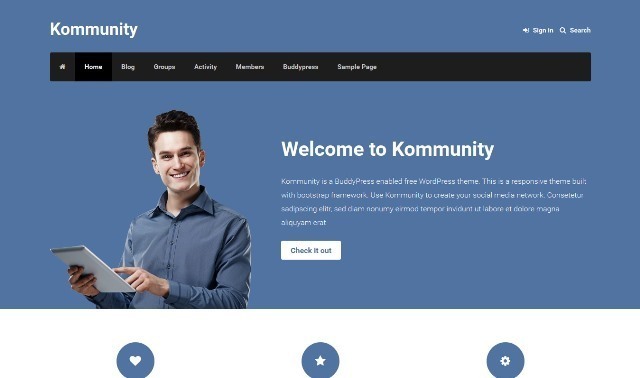 Kommunity is a responsive theme for social network sites. This theme is responsive and built on bootstrap framework. It also comes with theme options, custom page templates, custom homepage, font awesome icons etc. 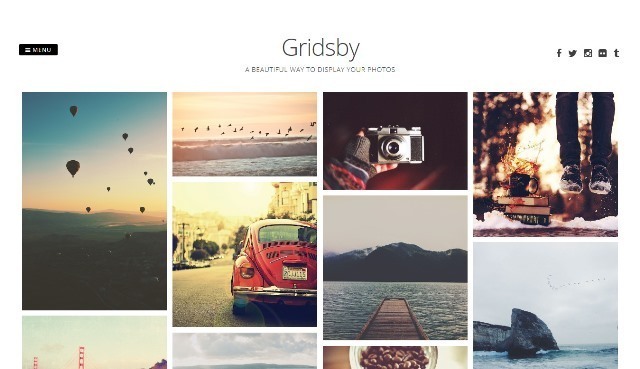 Gridsby is a pinterest style gallery theme which is a beautiful, simple to showcase a beautiful photo collection. Gridsby theme has responsive and retina ready, and includes an easy method for posting photos to a front page gallery. 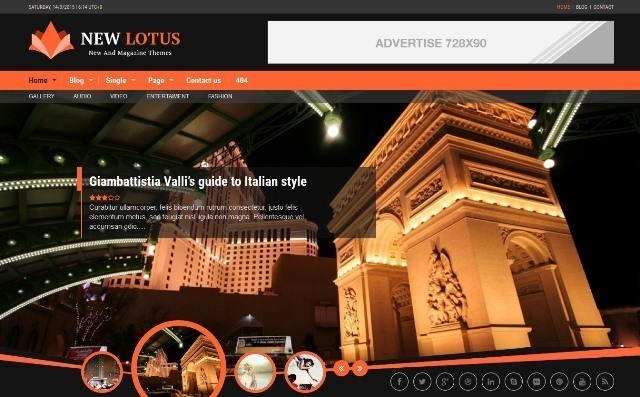 New Lotus is a free Magazine WordPress theme. Features are Responsive and retina ready, Easy to set up and use, Unlimited sidebars, Translation Ready, Support for Social Links and more. 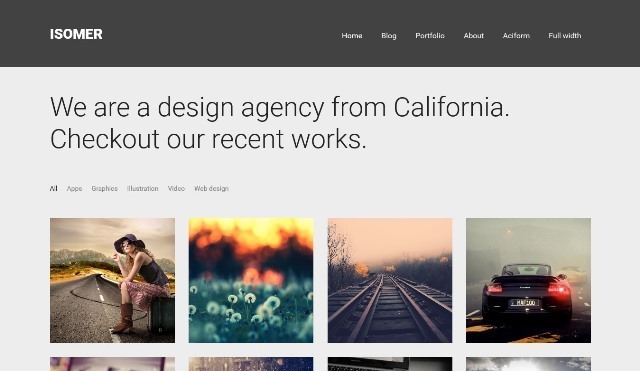 Isomer is a free premium responsive WordPress theme for Portfolio. 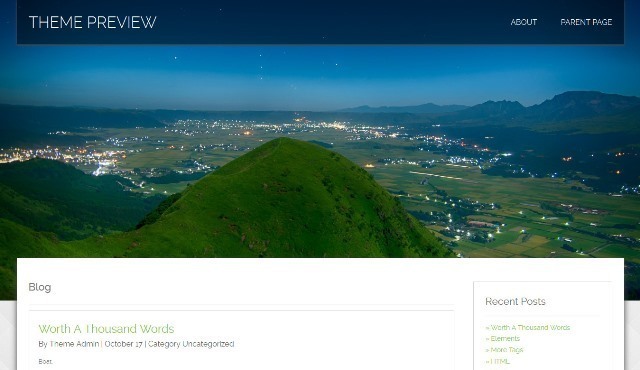 This theme is built on Bootstrap 3 framework. 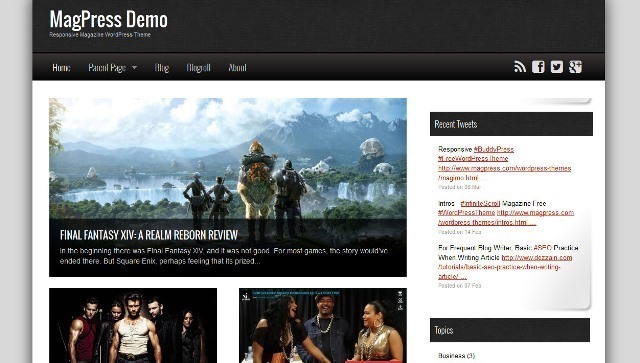 The theme supports, custom posts types, custom taxonomy, custom homepage, theme options etc. 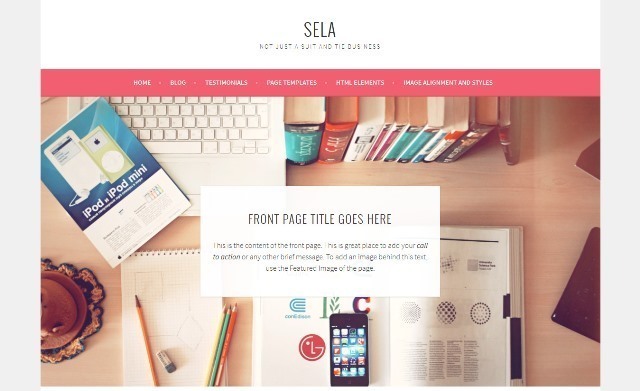 Sela is a free responsive WordPress theme with Custom Background, Custom Colors, Custom Header, Custom Menu, Featured Images, Full Width Template, Infinite Scroll, Sticky Post, Threaded Comments, Translation Ready and more. Foemag is a free responsive WordPress theme with built-in infinite scroll and Mansory grid layout. Features are Unlimited colors, Responsive, Built in social sharing buttons, 650+ Google Web Fonts, BuddyPress, BBPress and Woocommerce support, Custom widget and more. Enigma is an incredibly superfine multipurpose responsive theme coded and designed with a lot of care and love. You can use it for your business, portfolio, blogging or any type of site. Enigma is Retina ready.It has 4 page layouts, 2 page templates, It has five widgets available (one sidebar, four footers) and using the sidebar widget also enables you to make a two-column design. 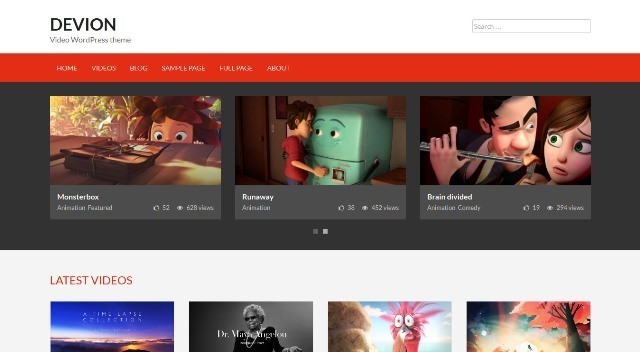 Devion is a responsive video sharing WordPress theme. This theme is ideal to publish video content on your site. You can embed videos from popular video sites like youtube.com, vimeo.com etc and also upload and publish your own video files. 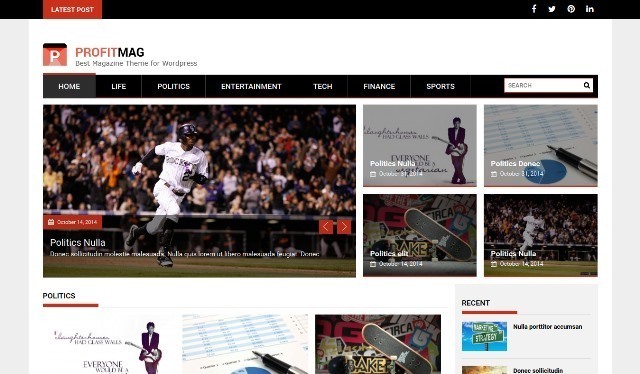 ProfitMag is a clean, responsive magazine theme with elegant design suitalbe for bloging, News website. It comes with a highly customizable theme option panel that let you manage the website at an instant. Magimo is a multi purpose free magazine WordPress theme with lots of premium features such as Featured Slider, 600+ Google web font, Advertisement option, Built in social sharing buttons, 650+ Google Web Fonts, BuddyPress, BBPress and Woocommerce support and many more. It is a great theme with background rotating for home page and for inner pages one can change the background to whatever he feels like. The theme scrolls over the backgrounds which you set for each page and looks beautiful. Since the backgrounds are full width backgrounds hence the name of the theme is kept as Full Width. 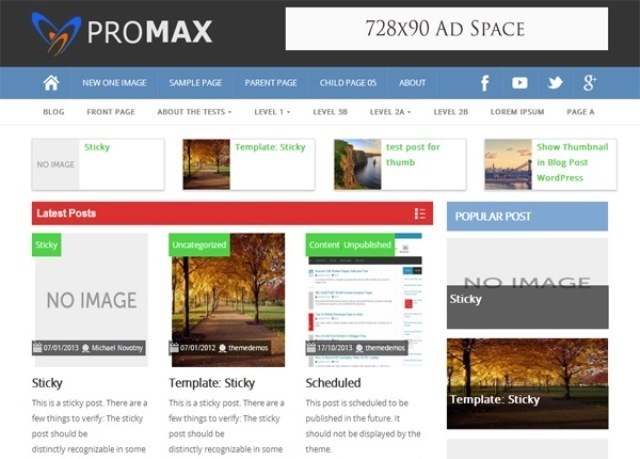 Promax free magazine WordPress theme with Powerful Option Panel, Responsive design, Multiple Drop down menu, Google Adsense ready, Custom Background and custom header, SEO Optimized, Custom Widgets and more. 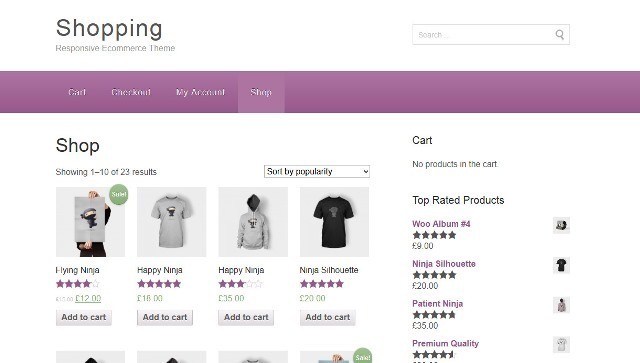 Shopping is a Free e-Commerce theme for WooCommerce, the most popular e-Commerce plugin for WordPress. Shopping theme features clean lines and minimalist design to best fit any products you wish to promote. 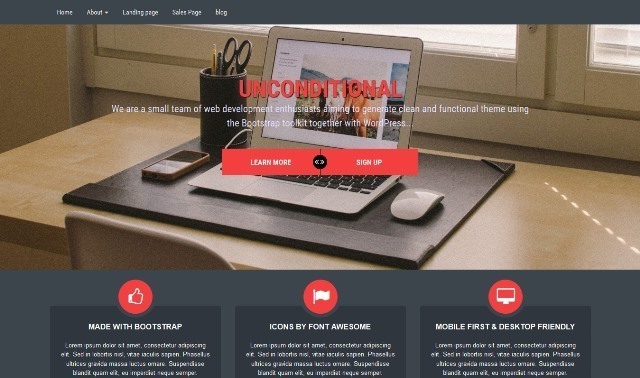 Unconditional – A multi purpose Responsive WordPress theme suited for business, designers and pro-bloggers. Built with Bootstrap and Jetpack powered portfolio. Features are Bootstrap 3.2 powered, Responsive, Child theme ready and more. 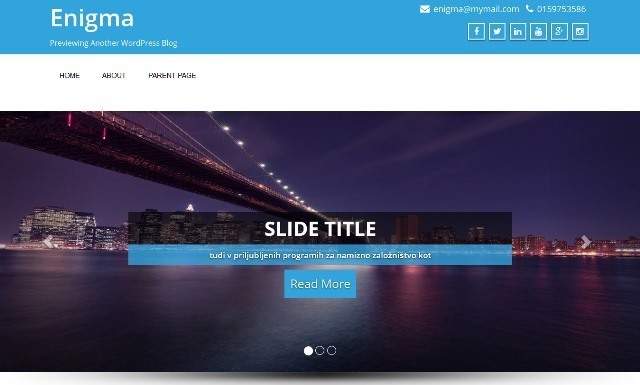 Honma is an free WordPress theme for business websites or blogs. 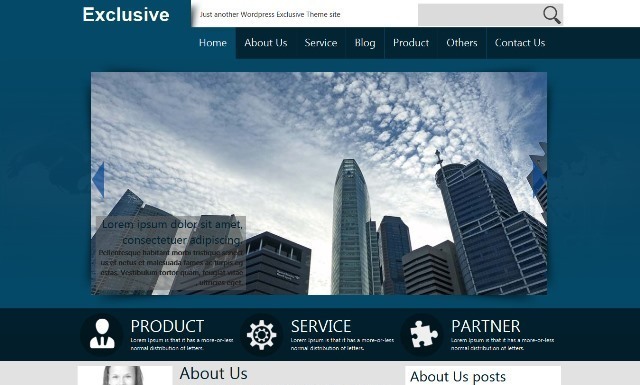 This wordpress theme also supports HTML5/CSS3 and responsive layout. Features are Blog Layouts, SEO Optimized, Responsive Design, Custom Widgets, Advanced Admin and more.